They say ‘perception is reality‘, and part of the reason why humans (and animals in general) survive and flourish is because they’ve learned to trust their instincts and their senses. Our ability to see, hear, taste, smell and touch allow us to gather information about the world and environment in which we have evolved. Our five senses are highly refined sensory receptors that are linked to our nervous system and hence brain. According to science, these sensory organs are the byproduct of billions of years of evolutionary trial and error. The evolution of which has taken place across many eras of time and amongst millions of different species of life forms. For example, the first animal believed to develop vision was the trilobite, which is a distant and extinct relative of the shrimp. From there, the eye continued to evolve; becoming more sophisticated as natural selection took its remarkable course throughout the Cambrian explosion. This was a period of time on Earth in which a large diversity of life forms began to emerge on the planet. 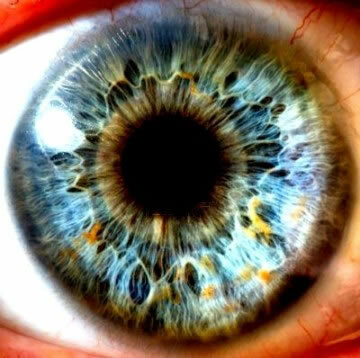 Therefore, the complexity of the human eye (and the vision that we currently enjoy) is the result of many “evolutionary upgrades” over the years. As the famous philosopher Immanuel Kant proposed, our senses are our “modes of perception” that provide knowledge of the outside world. Without our senses we would be lost in this physical reality. Trapped in a void… how could we be, do or experience anything?!?!? Understanding this, we should be very grateful for them! There are many difficulties and challenges in living that arise with the loss of just one of our predominant sensory organs, as any blind or deaf person may attest to. To illustrate this point, let’s see how easily we can trick our most highly developed sense organ… the eye! Look below at what is known as “The Snake” optical illusion. 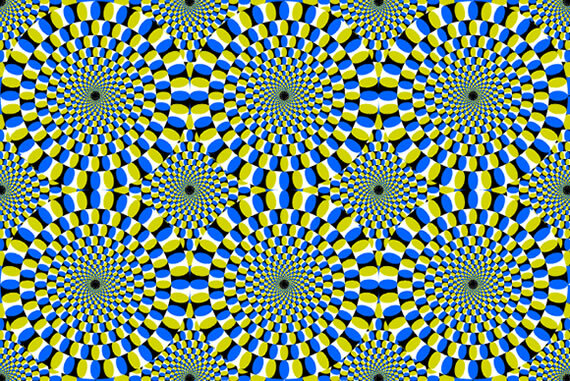 It clearly appears to the human eye that the circular patterns are moving and rotating. However by putting your complete focus on just one specific circular pattern you will realize that it is not really moving at all! Even while the other patterns still appear to be moving in the peripheral background. This is just one of many optical illusions that can easily deceive the human eye and trick the brain. Is seeing… really believing!?! This optical illusion tricks your brain into thinking these circular patterns are rotating. They’re NOT! Because of its persistence we’re often duped by the fallacy of our own observations. It’s these mistaken beliefs that keep us trapped in a world of suffering, fear, lack and inner turmoil. These five illusions trick the human mind into ‘perceiving reality’ a certain way. Since ultimately, our perception is reality, this leads us to think and behave in a way that conceals our true creative power from us. 1. The Illusion of Separation is the fallacy that you are separate from everyone and everything else in the known universe. 2. The Illusion of Time is the fallacy that the past and future exist outside of the reality of this present moment experience. 3. The Illusion of Scarcity is the fallacy that there is only a limited and quantitative supply of certain valuable resources. 4. The Illusion of Chaos is the fallacy that this is an imperfect universe built on chance and probability. 5. The Illusion of Death is the fallacy that the essence of who you are can be destroyed and thus cease to exist. Why do people mistake these fallacies for facts? Well, it is because people have a natural tendency to believe what they see with their own two eyes… I’ll spare you the well known cliché! Clearly to our own two eyes it does appear that we are separate from each other and all the other objects on earth! Clearly to our own two eyes we see the passage of time in the face of others and have vivid memories of the days gone by. Clearly to our own two eyes we see people and animals struggling to get the scarce resources they need to survive and thrive in this world. Clearly to our own two eyes we witness the chaotic and often violent environment in which only the strong seem to survive. Clearly to our own two eyes we observe the death of plants, animals, and even our loved ones. Without a doubt, each of us has observed separation, time, scarcity, chaos and death in our physical reality. So, how could these be illusions? As humans became self-conscious, we observed the world and all that was happening around us. We used our large brains to try to make sense of it all. Unfortunately, by depending solely on our five senses we came to conclusions that did not always reflect the true nature of our ultimate reality. We did the best we could, given our limited perspective and understanding, but as you’ve just learned our perception of reality is not always as accurate as we may think. Said differently… our initial interpretation of reality may have, in effect, been flawed and this interpretation has embedded itself into every facet of our lives since inception. This is because everything we do would be performed under false assumptions about how our universe actually works. Are you seeing things as they truly are? It would be like viewing the world through a red lens, everything we encounter would be tainted by the red hue pulled over our eyes. We could never correctly perceive the beautiful, kaleidoscope of colors that would naturally appear… if only the lens was simply removed. This is a great metaphor for enlightenment! And so, it is in this light we discover, that IF our ‘perception is reality’… It’s extremely vital that we’re able to see through the appearance and the illusion of things. 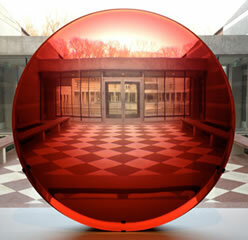 More brilliant are the colors, given a clearer “lens” through which to view the world. Our goal here is to unleash the power of our ultimate potential! You cannot successfully do that if you don’t understand the deeper truth about who you really are and why you are here. You cannot delude yourself any longer! You are not some limited, powerless being that has no control over your reality. This is only part of the illusion of your perception. Part of the awakening process is recognizing this about ourselves and ripping off the veil that has been pulled over our eyes. And as the Buddha previously stated… YOU are that reality! In time we’ll explore each of these Five Illusions in more depth. Not only will this process help you to cut through these erroneous beliefs, you will simultaneously uncover the hidden truths that each illusion has kept obscured. Of course, it is for you to decide if you will choose to adopt it… or not! That choice is yours and yours alone. I commend your efforts. You have guided into the Light the Lost and allowed the bandage to fall. I’ll appreciate if the 5 illusion materials and other Book suggestions for growth and self development could be forwarded by email. I anticipate your response.